Montana is a state in the Western United States. The western third of Montana contains numerous mountain ranges. Smaller “island ranges” are found in the central third of the state, for a total of 77 named ranges that are part of the Rocky Mountains. This geographical fact is reflected in the state’s name, derived from the Spanish word montaña (mountain). Montana has several nicknames, none official, including: “Big Sky Country” and “The Treasure State”, and slogans that include “Land of the Shining Mountains” and more recently, “The Last Best Place”. Montana is the 4th-most extensive, but the 7th-least populous and the 3rd-least densely populated of the 50 United States. The economy is primarily based on services, with ranching, wheat farming, oil and coal mining in the east, and lumber, tourism, and hard rock mining in the west. Corporation’s name shouldn’t be confused with name of any existing entity, assumed business name trademark, service mark or other name reserved or registered with the Secretary of State. Company Express will research your company name to make sure it meets Montana’s standards. Turnaround time: About 12-20 business days. 5-10 business days expedited filings are available for an additional fee. Time to file: Annual report has to be filed on or before April 15. The state filing fee is $15. Name of Montana Limited Liability Companies shouldn’t be confused with name of any existing entity, assumed business name trademark, service mark or other name reserved or registered with the Secretary of State. Company Express will research your company name to make sure it meets Montana’s standards. Turnaround time: About 10-20 business days. 5-10 business days expedited filings are available for an additional fee. 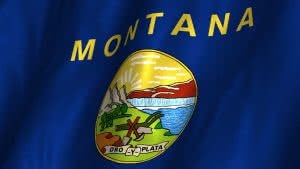 LLC’s principal office to be located outside of Montana, but local registered agent is required.